Cockroaches can be an extermely great nuisance. They are filthy creatures. It is not pleasant to be in a house with a cockroach problem. It is often associated with general uncleanliness and can put off guests. But you need not be an unhygienic person to develop a cockroach problem. Any number of factors can come together to create this situation. Indeed, cockroaches are not limited to indoor areas. If you have a patio or backyard landing that you are planning to use for the upcoming summer, you may need to deal with the fact that bugs have invaded these spaces. It becomes difficult if not impossible to enjoy your patio or garden area when you have to constantly smash bugs. The same thing goes for indoors. No one wants to live in a house infested with vermin. When pests invade your domestic space, the best solution is to call an exterminator. With an appropriate cockroach treatment, a professional cockroach extermination service can help rid you of the creepy, crawly creatures that have made your home life unbearable. Simply put, cockroaches are attracted to food, water and shelter. Highly resistant, almost anything is food to a cockroach. They can consume almost any food, eat paper, cloth, plants and even have been seen consuming the glue used to bind book sides. They can be found in every part of a home or commercial building and are expert at staying alive. A cockroache infestation is therefore a public health concern because they have been known to carry the salmonella bacteria, which are the organisms responsible for food poisoning. Cockroaches have flattened oval bodies with long spiny legs and can measure up to 15 mm (3/4”) when fully grown. Both the male and female cockroach are winged. Typically, their coloring is lighter brown with two darker brown stripes running lengthwise on their thorax. If you’ve been wondering how to get rid of cockroaches, the first idea that may come to mind is to search for the nest yourself and stomp it out. This is a bad idea. You do not have the tools to detect all of the nests in which cockroaches may be living. Nor do you possess the means by which to exterminate them all effectively. Trust a cockraoch exterminator. A professional cockroach exterminator use special equipment and are specially trained to deal with pest problems. There is no need to be embarrassed by the presence of cockroaches. Calling a professional cockroach control service can help you get back control of your living space by eliminating the creatures that have invaded it. Summer is approaching. It is a time for barbeques, swimming, and general outdoor enjoyment. But this is very hard to do when you are constantly put upon by insects or regularly confronted with cockroaches inside your home. The best response to such an outbreak is to call experts who can deal with the problem quickly. In one fell swoop, the cockroaches that infest your living space can be done away with. Save yourself the hassle and bother of chasing pests around the house or buying different sprays hoping they will work. If you believe you have a serious pest problem, then you need to get serious about taking care of it. And the best way to do that is to call a professional cockroach exterminator. Indeed, it may seem easy to deal with such matters yourself, but that is hardly how it is in reality. Pest problems may have a different origin from the one you think. Also, by trying to solve the problem yourself you may actually end up making it worse. No. The best way of dealing with pest issues is to contact those who are specially trained to do such work. Hiring a professional cockroach exterminator will ensure that your cockroach problems are brought to an end. You need not feel uncomfortable in your own home. Reclaim your living space. 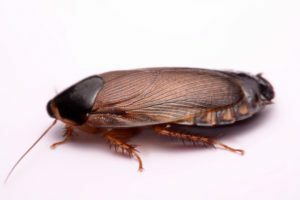 A cockroach exterminator from Extermination Falcon can help you with an effective cockroach treatment. Call our cockroach extermination Montreal company today to get immediate results!